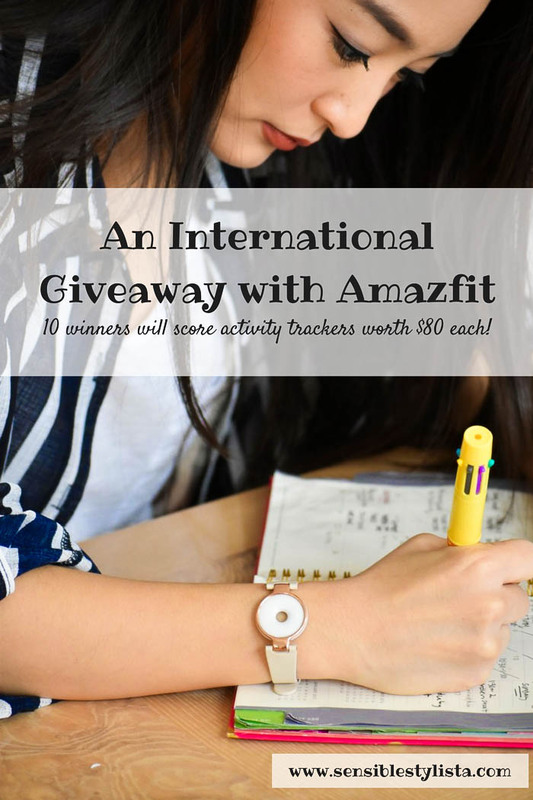 Amazfit Giveaway: 10 Lucky Winners Will Score Activity Trackers! I'm so beyond excited to partner up with Amazfit for a special giveaway today on Sensible Stylista. In honor of the new year, and in honor of your best self (their current campaign on IG), they've generously offered to give away 5 black equators & 5 white moonbeams - each worth $79.99 - to SS readers. The Equator and Moonbeam both track your activity, calories burned, sleep quality, and can even be programmed to alert you of incoming calls. They're the lightest and most comfortable trackers on the market. and their ceramic cores are water resistant up to 3 feet for 30 minutes. Therefore, you don't have to worry about taking them off for showers, dishes or the like. Also, a single charge lasts about 10 days so you don't have to worry about it dying on you every couple of hours. As always, entering's super easy. All you have to do is follow Amazfit on instagram via rafflecopter below. Bonus entries are also available to up your chances of winning so make sure you take full advantage. Open worldwide, this giveaway ends on February 3rd! Good luck, everyone. This is a truly magical location, and I can’t blame you for your perfect vision. Hope your new year is off to great start and that the magic never stops. Hello, just wamted to greet you a Happy New year !!!!! Just a heads up: the daily tweet is one letter too many. Wanted to say happy new year,and look forward to reading your blog another year! I love these trackers! So STYLISH! One downfall of the mainstream/fit bit type ones are the band just is There...so if you're wearing something super stylish and depending on what color you have...sometimes it doesn't look too great. These could go woth anything! Thanks for the info and the chance at one! How do you regram something? I didn't see that option.